Right now Microsoft is making its next big push into so many areas at once. Windows Phone 8, Windows 8, Server 2012, Outlook.com, Office 2013 and the new Windows Live. Here is a newsletter from Microsoft linking to most of this new stuff. There is a consistent marketing and look and feel to all the new apps, websites, products and management dashboards. I’m starting to really enjoy this as I am now working with Windows 8, Server 2012 and Outlook.com for myself and clients. Its refreshing to have consistency. Cant wait for Office 2013 and Windows Phone 8 to launch as well. Meet the new modern email Outlook.com, the new Office, and the new Windows 8 device line-up. Watch videos, try and enjoy! Discover the new SkyDrive.com and get 7GB of free cloud storage. 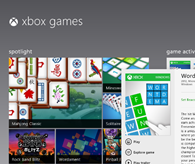 Games are more amazing with Xbox on Windows 8. Find out how. Download the new Windows Photo Gallery and Movie Maker. Check out new colors and new artist series mice from Microsoft hardware. Get the stunning moon images in the new Moonlight theme for Windows 7. Explore Windows brings you tips, tricks, downloads, and updates to help you get the most out of Windows. Was this newsletter forwarded to you? Subscribe to the Explore Windows newsletter. 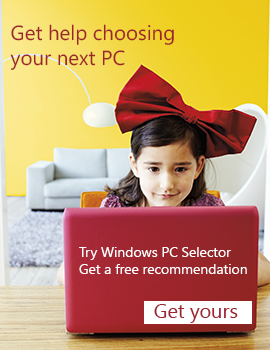 You can find additional Windows tips, tricks, and how-to’s on the Explore Windows website. Here are some interesting links and reviews from this weeks reading and research. Far Cry 3 preview – reviewed by Fidget from fragdolls – I loved Far Cry 1 and 2 – cant wait for 3. Assassin’s Creed 3 preview – reviewed by Cryptik from fragdolls – I have played and loved every Assassins Creed game so far – cant wait for this one! Windows 8 and Metro Development – great explanation of Metro for Windows 8 by Damana. Skydrive has now launched apps for Windows and Mac. We have tested the Windows one extensively and are now implementing it as a cloud backup strategy for small home users. Australia’s Labor government is about to start stealing money off us with a Carbon Tax – explained away by insisting that global warming is caused by human emitted CO2. The video here shows the fallacy of this “science”. Social Media use is on the rise on a massive way. Companies and businesses are still learning if and how to get involved. Here are a number of great articles. Dion Hinchcliffe writes an excellent article titled Should companies drive their traffic to Facebook? I wish this social media course run by Laurel Papworth was coming to Brisbane. Sydney people go and learn! 26 Tips for Integrating Social Media Activities – lots of good info here. Worth a read. 5 Ways to tell if Pinterest is right for your business. We have started using Pinterest; watch for our boards to grow and expand as we learn more about this cool new tool. Facebook Adds Admin Roles – a good explanation of the role settings and use. From Jeff Alexanders Tech Net email. Lots of good how tos and information on the Windows 7 phone how to page also. 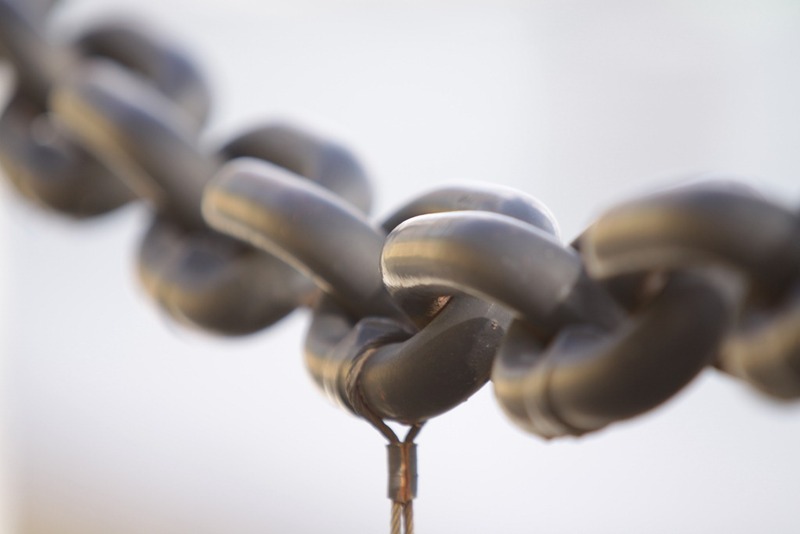 Easier sharing, smarter applications and a better web - Mango is here! Hello and welcome to another edition of the Australian TechNet Flash. This edition is all about Windows Phone and the recently released Windows Phone 7.5 Update that has just come out. First up what’s this update all about? The good news is Windows Phone 7.5, codenamed Mango, is now available to Windows Phone 7 users in Australia! If you haven’t already been prompted for the update you will very soon. This latest update improves on the existing OS and adds over 500 new features to better connect you with people, applications and the web. Groups - Organise your employees or work colleagues into a single group to quickly and easily email, text or chat with a whole group at once. You can also pin this group to your Start Screen and you'll be notified with any missed calls, new messages and even social networking updates from the group members. Outlook Mobile - Outlook Mobile on Windows Phone now also supports tasks and conversation view to offer an enhanced email experience on the go. People Hub - The addition of Twitter and LinkedIn to the people hub so you can now get your feeds from all your favourite social media sites. SharePoint Workspace Mobile - Makes it easier to collaborate with your coworkers when you're away from the office. Internet Explorer 9 - Harnessing the power of your phone's hardware for faster, smoother web browsing. My Windows Phone – Check out the new revamped My Windows Phone site and manage your phone on the web, find a lost phone or even reinstall all your applications easily! These are just some of our favourite features, to learn more about the mango release as well as how to get it click here. Now on to a personal story regarding this update. 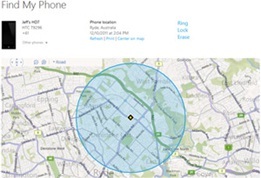 I got a chance to use the newly revamped My Windows Phone site and in particular the Find my Phone feature. My wife recently left her Windows Phone in a restaurant after a night out with some friends. Of course she was worried her phone was gone. Well the next morning I logged into the My Windows Phone site with her Windows Live ID. I got a screenshot like the one right. The above is just an example but what it shows is the GPS built into my wife’s phone showed me where it was which turned out to be the place where she left it. At this point I had 3 options. I could Ring the phone, Erase it or Lock it. I decided to lock it and put a security PIN on it with a message to ring our home number. Well we went back to the restaurant the next day when they opened and there was the phone locked with the message I put in along with a sad smiley face! A great result. If I did decide to erase the phone, reinstalling apps is much easier with Mango using the App Purchase History which is now part of managing your phone on the web. Have a good one folks and see you next time!